On Wednesday the 10th of October Newcastle University signed up as a Partner Affiliate of the National Technicians Development Centre and were presented their Partner Affiliate certificate at a Technicians event attended by 110 Newcastle University technicians. 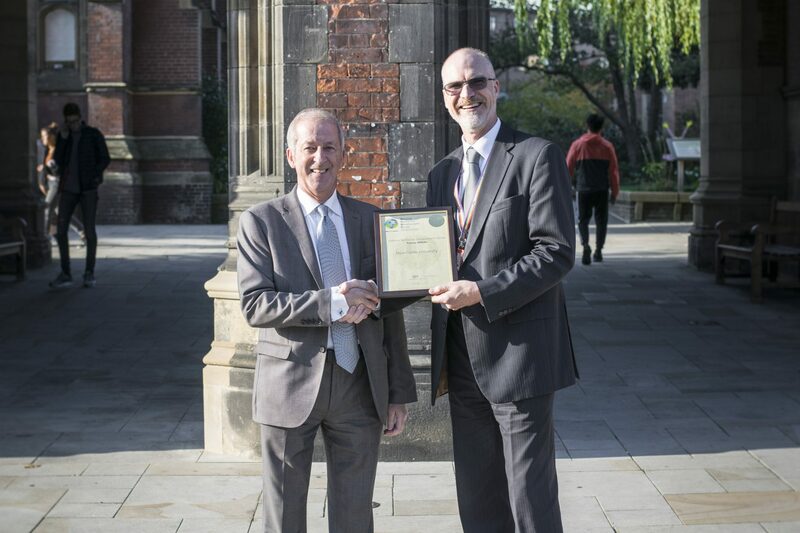 Terry Croft MBE, Director of the National Centre, presented Newcastle University Registrar, Dr John Hogan, with the certificate of partner-affiliateship, as shown in the photo above. 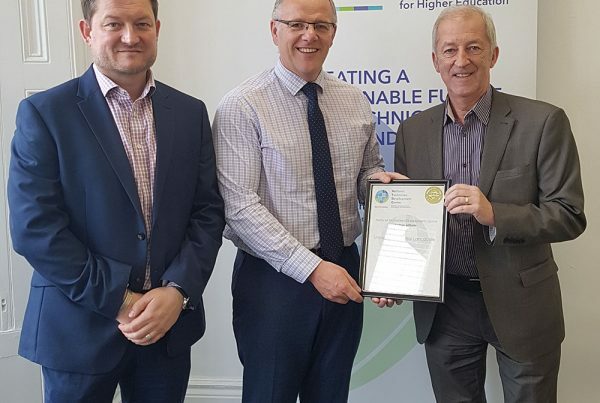 “Newcastle University is now recognised as being one of the leading HEIs with respect to recognising, supporting and developing technicians however we recognise that there are still gaps in our knowledge around the specific technical skills within the University and how they are distributed across the organisation. It’s also imperative that the University can develop the careers of individual technicians so that we continue to attract and retain talent. To assist with this endeavour, Newcastle University is delighted to become a Partner Affiliate of the National Technicians Development Centre. This allows the University to work in partnership with the NTDC and the toolkits to be professionally deployed across the organisation.